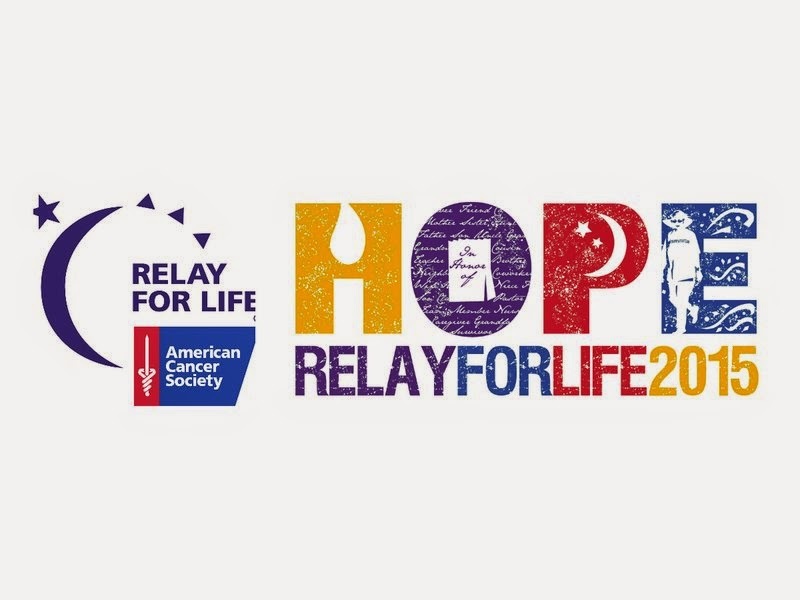 On May 30th, 2015, thousands of Western North Carolina residents will join together at the American Cancer Society Relay For Life of Buncombe County to help finish the fight against cancer. The event will take place from 4:00PM to 10:00PM at Carrier Park, located at 220 Amboy Rd, Asheville. The Survivor Ceremony begins at 4:00 followed by live music from 4:30-9:00PM and the Luminaria Ceremony from 9:00PM-10:00PM. Survivor Tent is open from 3-9:00. The Relay For Life program is a community-based event where teams and individuals set up tent sites at a school, park, or fairground and take turns walking or running around a track or path. Each team has at least one participant on the track at all times. Cancer survivors and caregivers take a celebratory first lap to start each event. Four million people participated in more than 6,000 events worldwide last year. The funds raised support groundbreaking cancer research, education and prevention programs, and critical services for people facing cancer. No one knows how vital the services the Society provides are more than Bonnie Gundlach who utilized the American Cancer Society Reach To Recovery program after her initial diagnosis of breast cancer in 2008. Since then Bonnie has served as the Event Lead on the 2012 Relay For Life Leadership Committee and has raised over $5000 for the Relay For Life mission. Bonnie Gundlach, a cancer survivor states; “It’s so important to have someone who’s “been there, done that” to talk to and cry with when facing a cancer crisis. I couldn’t wait for my Reach to Recovery volunteer to come to my house so I could see for myself that there’s hope and support close by; someone on whom I could rely, and who would talk to me with frankness. Because of my positive experience with the program, I became a Reach to Recovery volunteer, and, am pleased to say, have been able to support many women as they, too, faced the unknown. Additionally, I volunteered to work with Relay For Life, and worked my way up through volunteer-Survivor Chairman-and then Event Chair in 2012. Along the way, I have been privileged to meet and work with the most amazing individuals ….. and I have my adventure through cancer to thank." It is not too late to for community members to get involved in the event or make a donation to the Relay For Life of Buncombe County. For more information, visit www.relayforlife.org/buncombenc or call 1-800-227-2345.